Extending losses for the second session, the rupee weakened by 5 paise to trade at 68.87 against the US dollar in early trade today on sustained capital outflows as the greenback strengthened overseas. 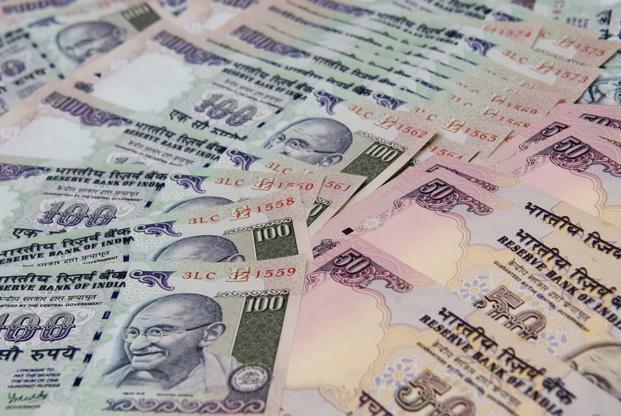 Mumbai: Extending losses for the second session, the rupee weakened by 5 paise to trade at 68.87 against the US dollar in early trade today on sustained capital outflows as the greenback strengthened overseas. Forex dealers said besides increased demand for the US currency from importers, persistent outflows by foreign funds and the dollar's strength against some other currencies overseas, an escalating trade spat between the US and China also weighed on the rupee. Yesterday, the rupee ended lower by 10 paise to close at 68.82 against the US currency due to fresh buying of the dollar by importers after the greenback rebounded in global markets.